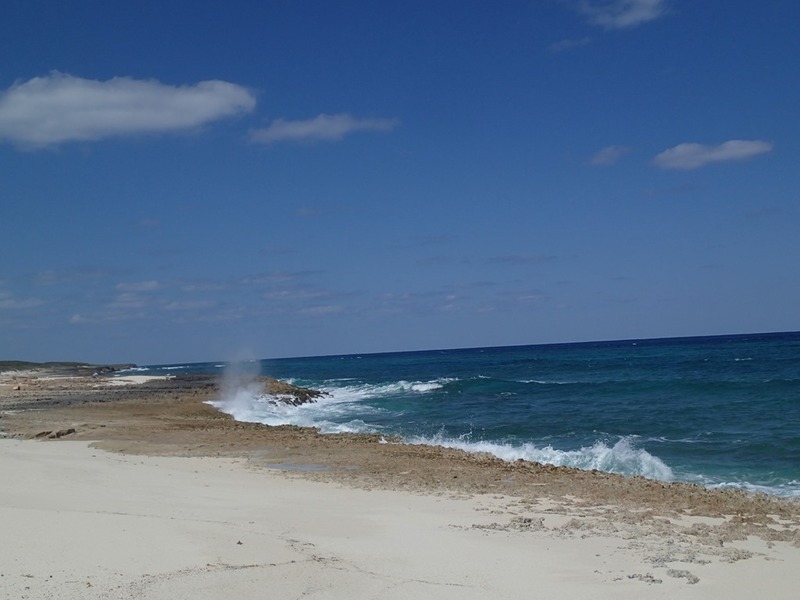 This is a great beach for beachcombing – nothing between it and Africa but water. 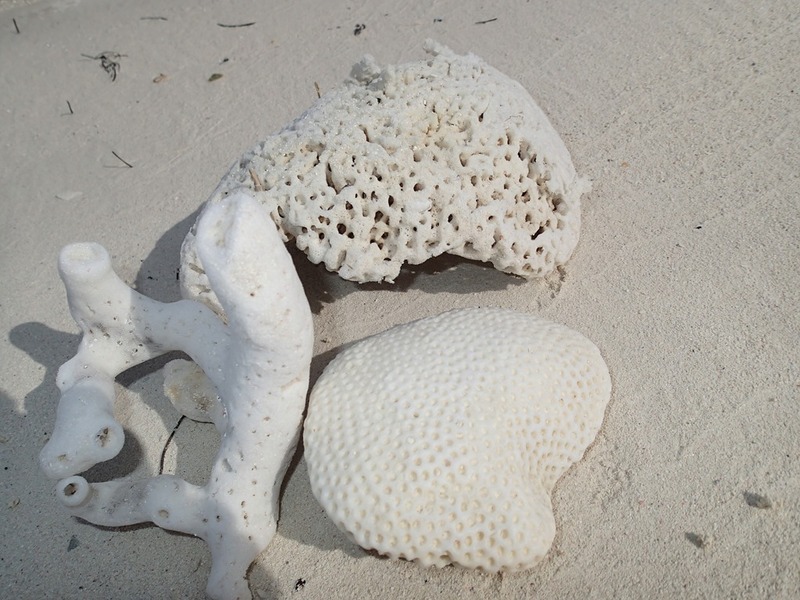 We found shells – mostly tiny because of the offshore reef. I love the reddish/pink ones. Crushed, they give the sand its soft pink hue. 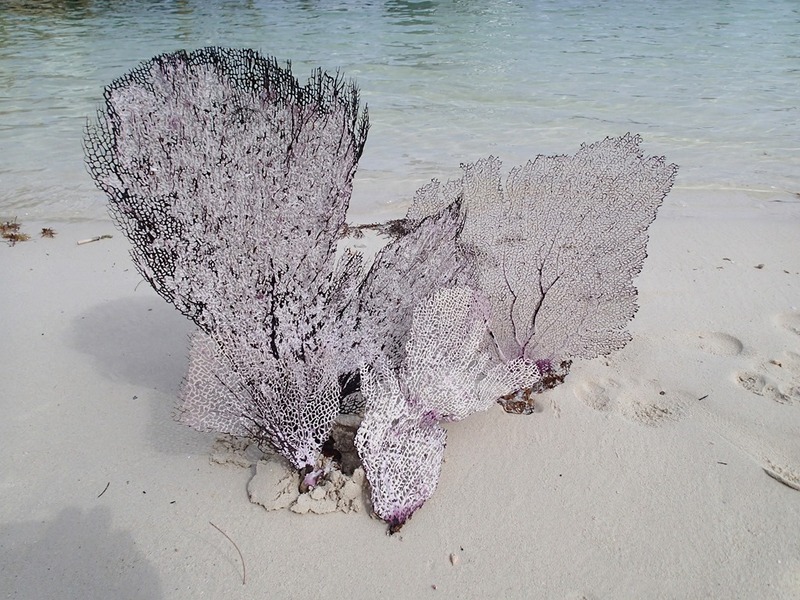 Also sea fans. Some brown and nasty. Some pink and white. Little bits of coral and sponges. 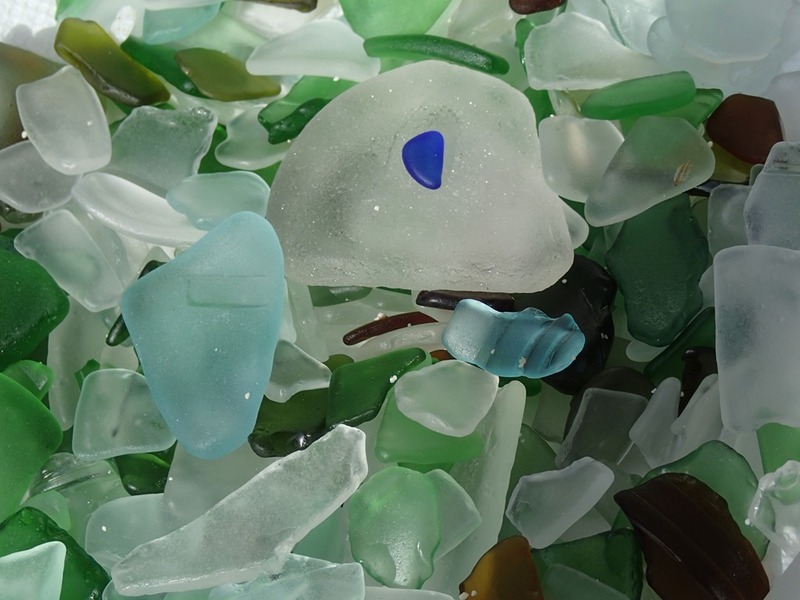 And lots of sea glass. We also found sea beans, a/k/a drift seeds or african dream beans. These are found on beaches around the world – they have hollow air-filled centers which allow them to float on the surface of the water for years as they travel on ocean currents. 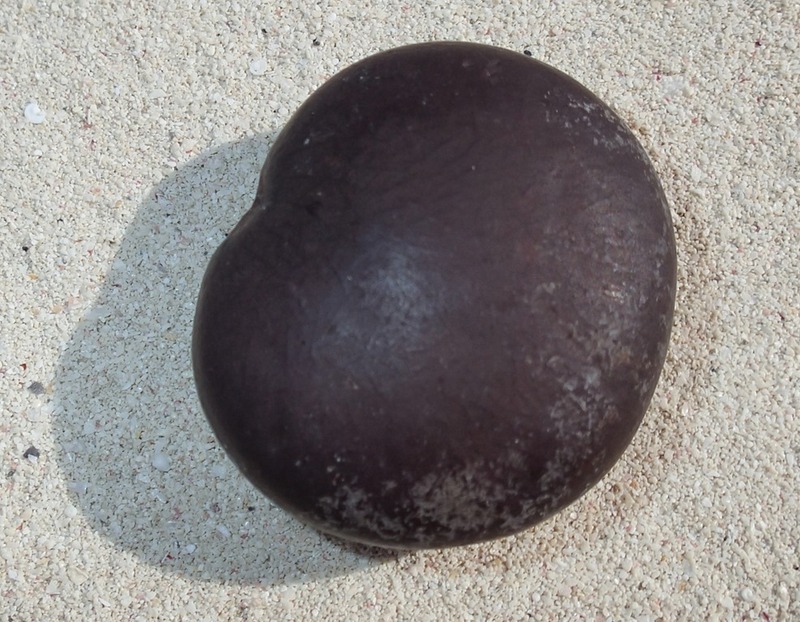 This one is called an Entada or sea heart – you can see why. 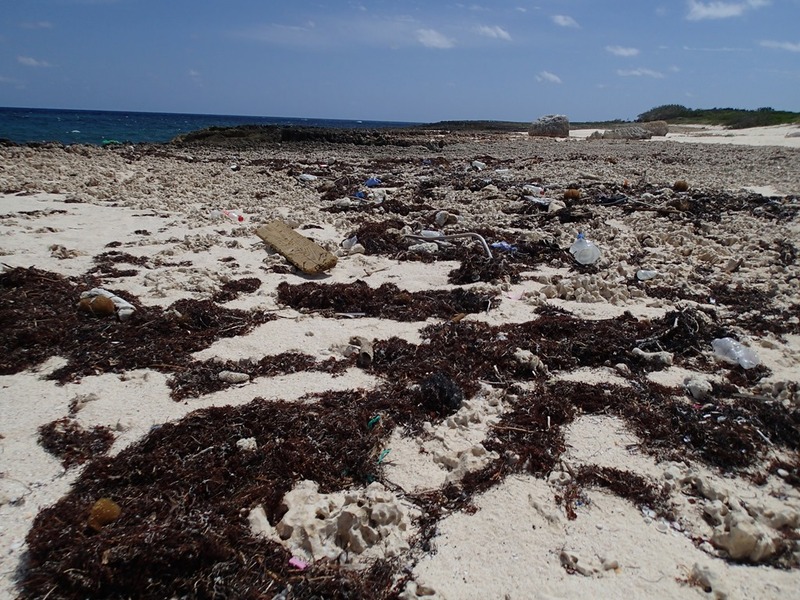 Wrack is the strip of accumulated debris at the high tide line of a beach. It’s mostly sea grass, with some drift wood, small shells, sea beans, remnants of sea life, bits of coral, and LOTS of trash. The trash is mostly plastic: flip-flops, bottles, deodorant container balls, toys (even Legos), cups and containers, and bags. Very sad because it’s so avoidable. 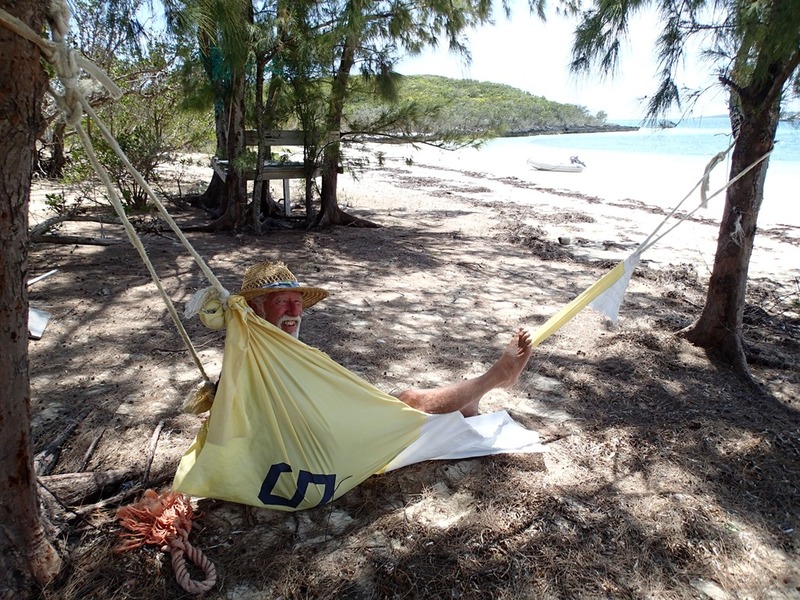 On the Sea of Abaco side of Lynyard Cay, the beach has a makeshift camp, complete with hammock. 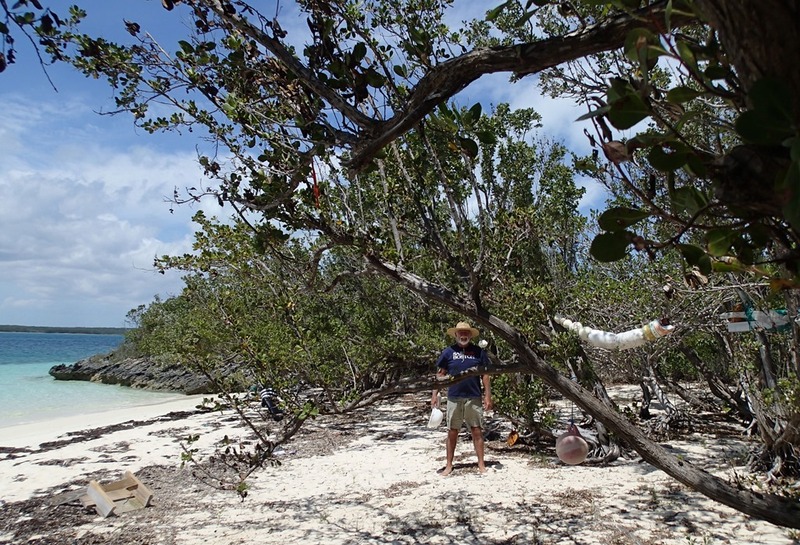 It’s filled with other kinds of beach treasures, mostly nets, buoys, line and lumber. When we arrived at the beach, the tide was going out. We put the dinghy anchor up on the beach and left the dinghy partially in the water. When we returned, it looked like this: high and dry. And here is what our anchored boat looks like from the beach. Hard not to smile, looking at this. A perfect day at the beach! beachcombing is so fun! Looks like a lovely day. I was wondering if there is a way to drive to this part of the island? 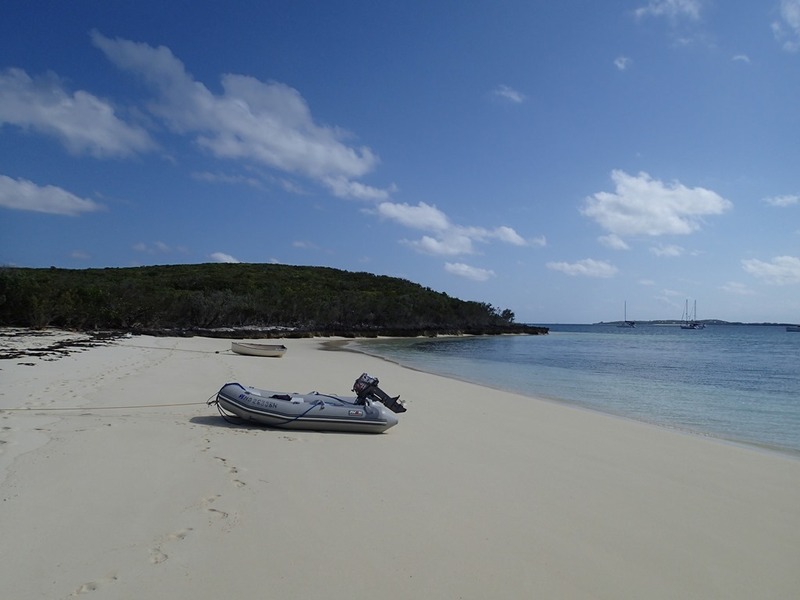 Lynyard is an island near the south end of the Sea of Abaco. You are close to it if you drive to Little Harbor, south of Marsh Harbor, but need a boat to get to Lynyard – it’s across the cut. No hotels on the island, just a few cottages. 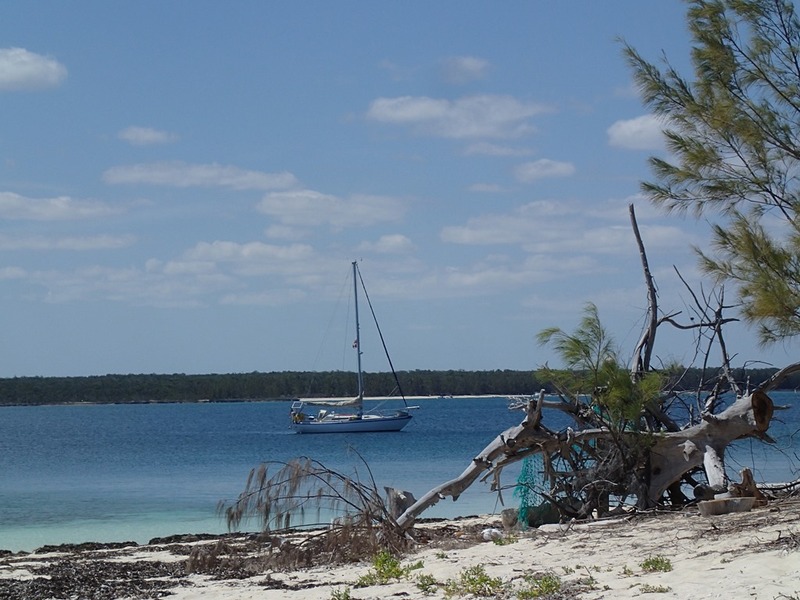 If you can get there by boat on the Sea of Abaco side, you can easily follow a trail to the ocean side where you can find beach treasures. Awesome! Can I find lake beans lol? I beachcomb southern shores Lake Erie for warship glass, fossils etc. I’ve never un my life seen a sea bean and I adore the ocean. Can u tell anymore about them? Thanks for reading our blog – glad you liked it. Sea beans travel ocean currents from places like South America. I doubt they can go upstream into the Lakes. We sailed the Lakes for many years. Never found a sea bean. 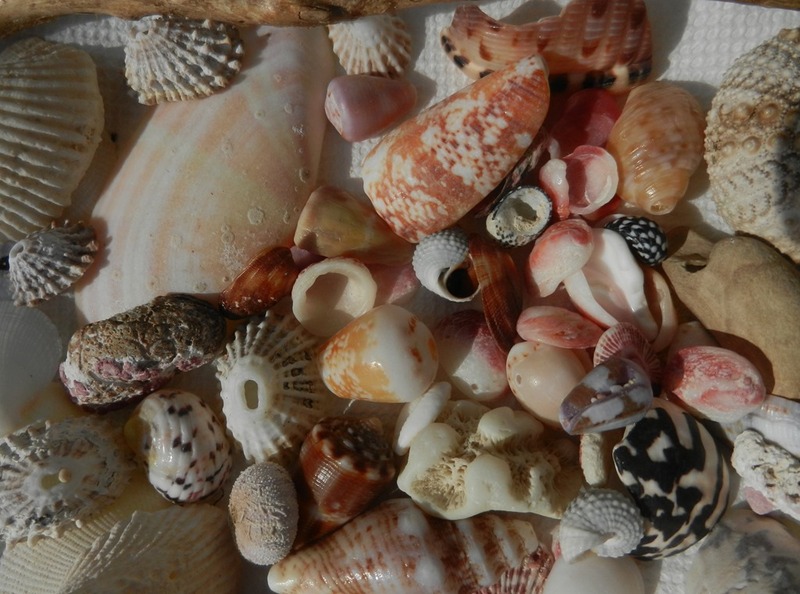 But keep beachcombing – great fun.